No matter your age, celebrate your inner child! 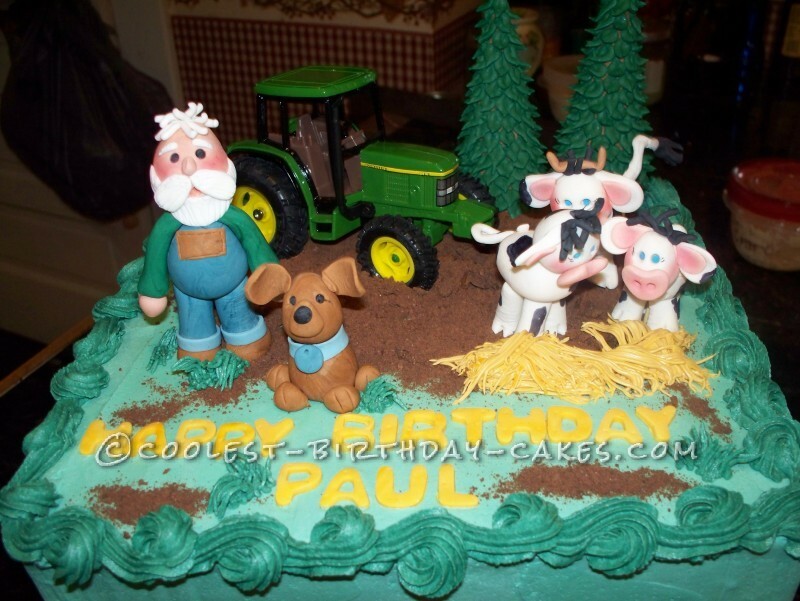 This farmer themed cake was delivered to an 85 year old man who loves John Deere tractors, cows and his little brown dog. He had no idea there was a surprise birthday party in the works, or that he would receive a birthday cake! Wanting the elderly gentleman to have a keepsake, I purchased a John Deere tractor from our local Tractor Supply store rather than sculpting a tractor from gum paste. I live in the mountains of WV, and believe me when I say that blue jean overalls are a staple in the wardrobes of our local farmers LOL! I sculpted the old farmer, in his overalls, out of gum paste. I pushed gum paste thru a garlic press to make the few hairs atop his balding head. 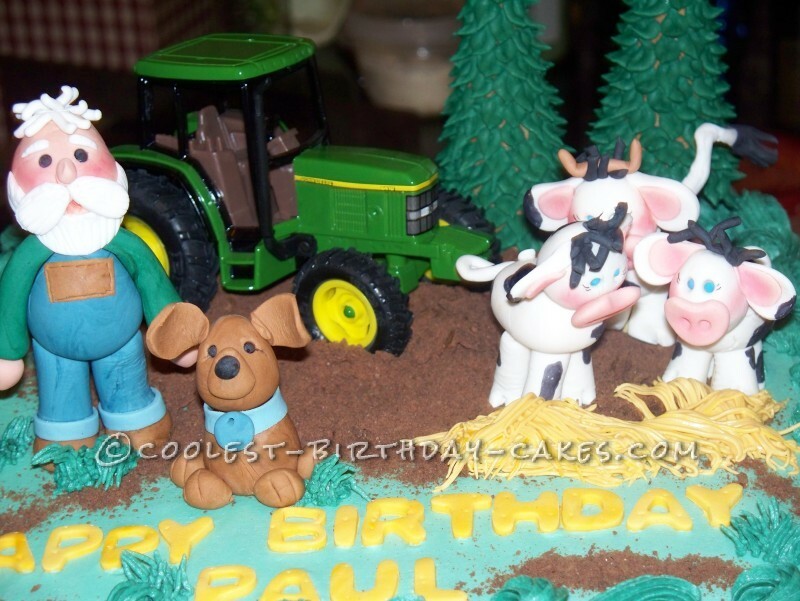 The cows, bull and the brown dog are also sculpted with gum paste. The hay was made with royal icing and a grass tip, and the trees are ice cream cones covered with royal icing. I used crushed chocolate cookies to make the dirt. The cake was a yellow buttermilk pound cake with coconut butter cream filling. I hope the gentleman enjoyed his cake, and I wish him many, many more happy birthdays!